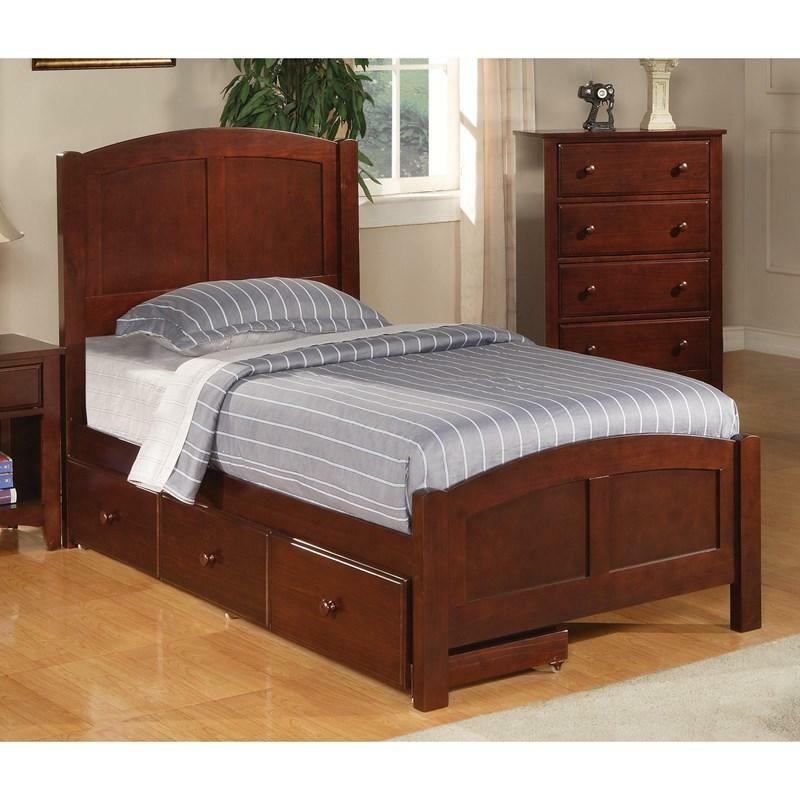 Classic style gives this twin bed timeless appeal. 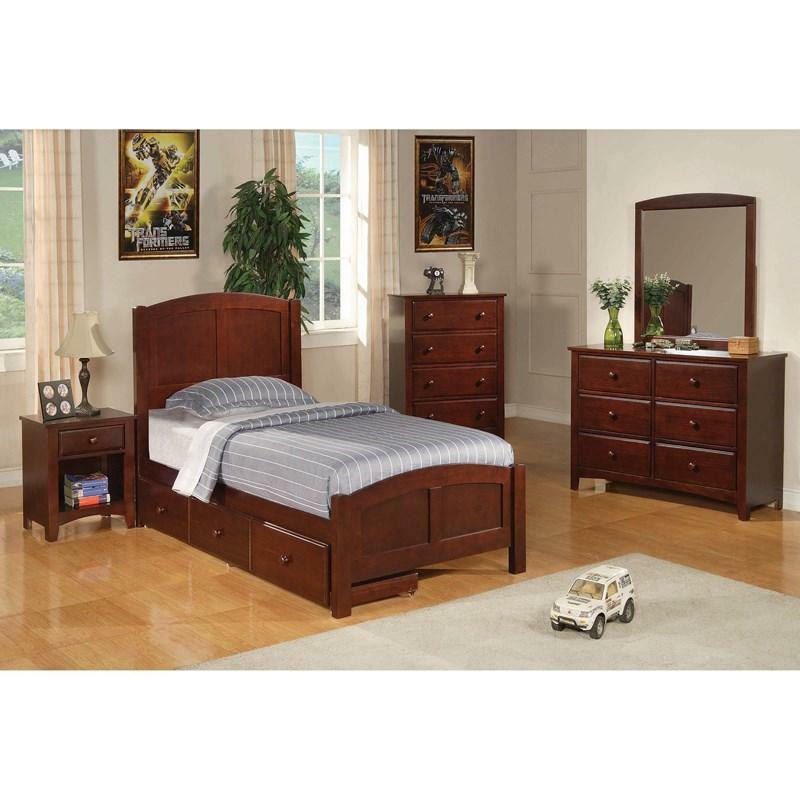 Sturdy wood construction with a rich chestnut finish allows easy integration with a variety of design styles, sure to remain a beloved addition to any bedroom for years to come. 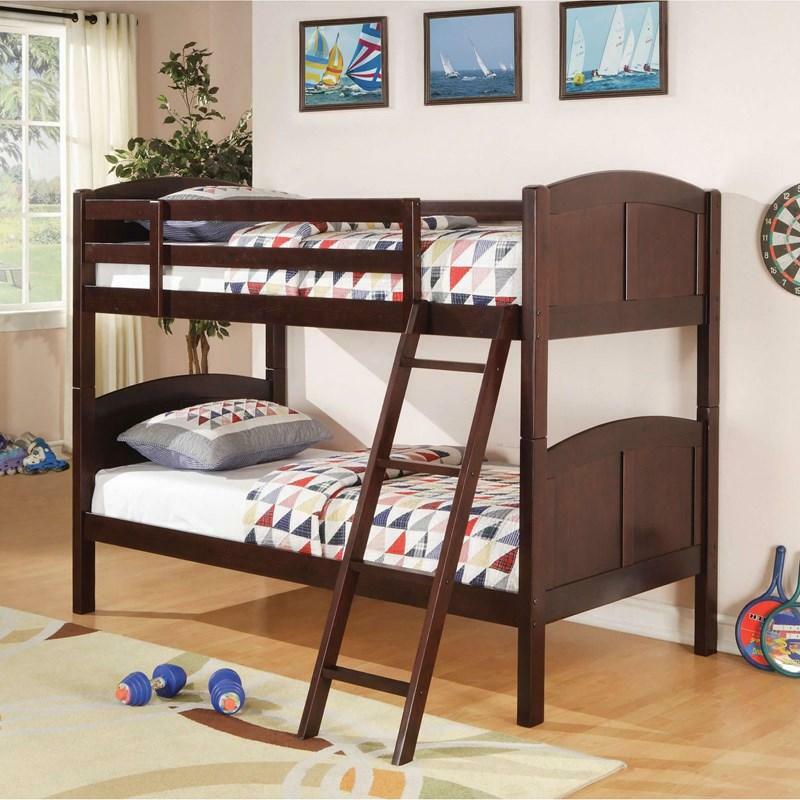 This piece is perfect for the room of a child, teen, and can even make a welcome addition to a guest bedroom. Volume 5.62 cu. ft. / 0.16 cu. 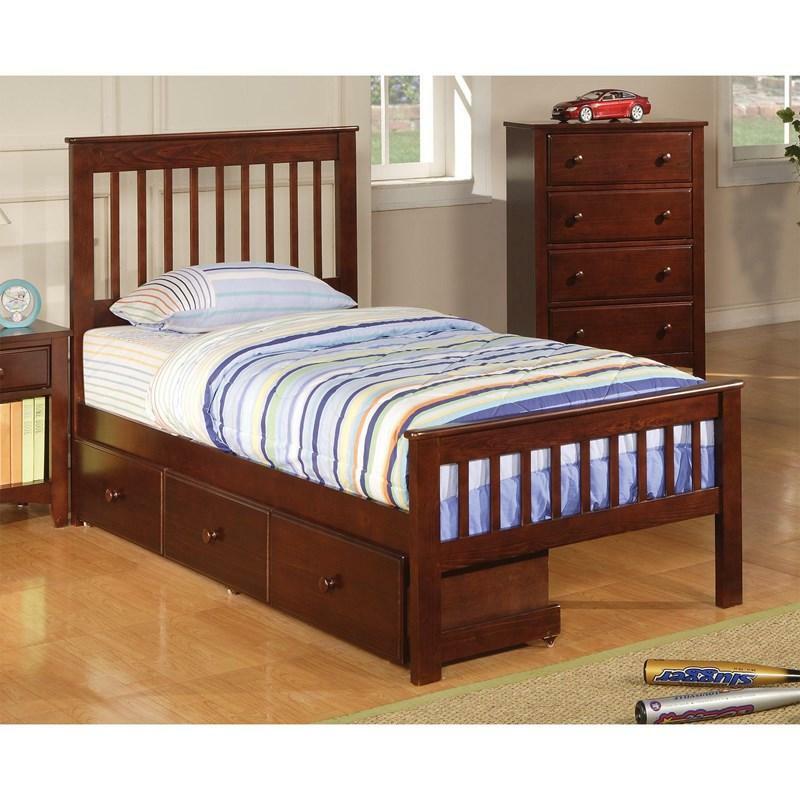 m.
Complete the look of the Parker Twin Panel Bed with this matching under bed storage. 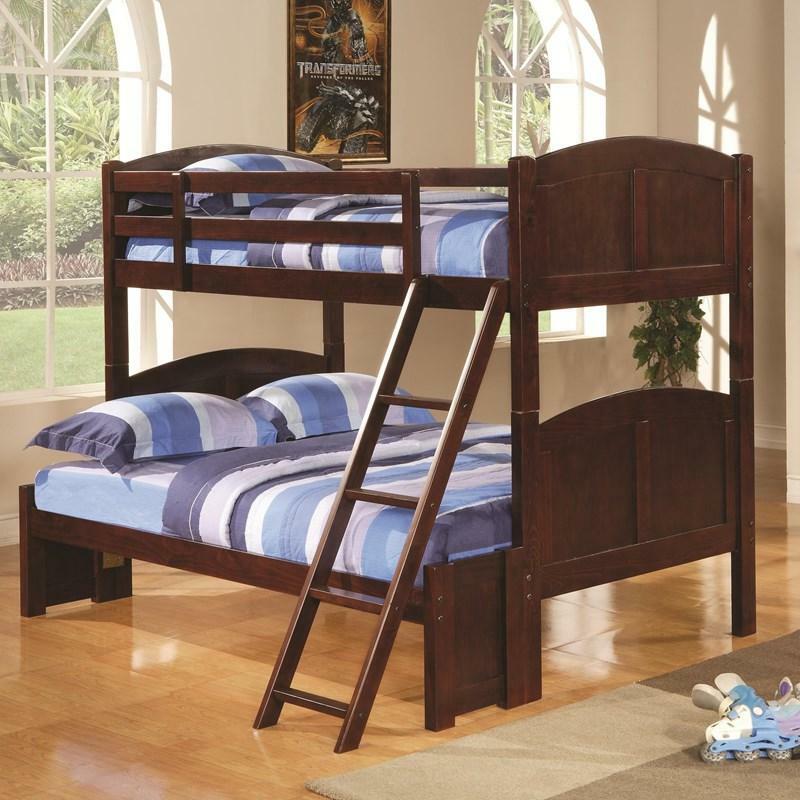 Includes three 18-inch deep drawers for plenty of space to store linens and bulky clothing. Constructed with the same quality as the bed.